Poetry Friday--"Old Salty Dog Blues"
Yesterday, as I honored the poet Adrienne Rich who passed away on Tuesday, I also found out that bluegrass musician, Earl Scruggs, passed away on Wednesday. Two artists in two days' time! So, I figured I would honor Scruggs today with the words to this bluegrass song performed by Earl Scruggs and Lester Flatt. You can hear more Flatt & Scruggs songs on the CD American Roots: The Essential Album [CD FOLK AME]. Please stop by My Juicy Little Universe for the Poetry Friday Round-Up for this week. The American poet, Adrienne Rich, passed away on Tuesday at the age of 82. I went looking for an audio or video of her reading one of her poems and came upon a nearly hour long audio of Rich speaking at Wellesley College nine years ago. You get a better understanding of her work by listening to her read and talk about it. We have The Fact of a Doorframe: Poems Selected and New, 1950-1984 and Driving into the Wreck: Poems, 1971-1972 [both 811.54 RIC]. The title poem, "Diving into the Wreck," is the poem for which she is perhaps best known. And if you don't think that bullying is a problem in your kids' schools, then think again. 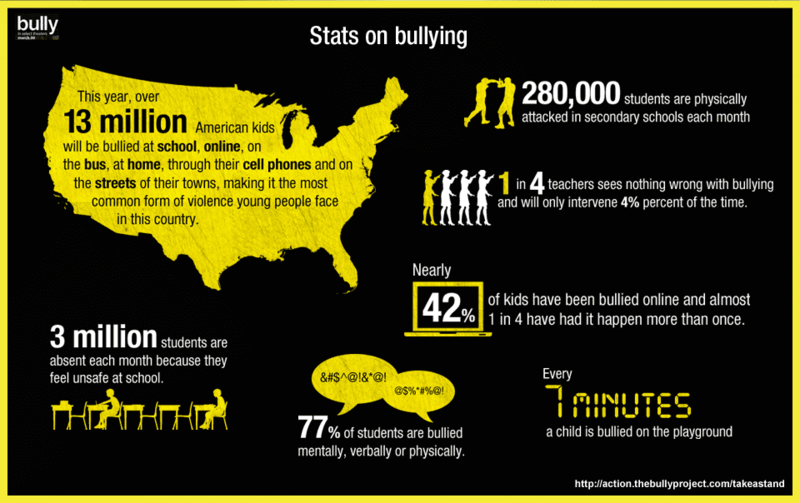 Image courtesy The Bully Project. Click on the graphic for a larger view. And, if you think that people grow out of bullying behaviors, think again. Take a look at Bullies: From the Playground to the Boardroom: Strategies for Survival by Jane Middelton-Moz [302.34 MID]. It'll have you shaking your head in disbelief. We have other books and DVDs on the topic of bullying, just check our catalog using "bullying" as a search term. Letters of Note: Correspondence Deserving of a Wider Audience is a website that shares letters, which give an insight into the personality of the letter-writer. Everyone knows Fitzgerald as the writer of The Great Gatsby [F FIT], but he has many other works to his name, including the novels Tender is the Night and This Side of Paradise [F FIT]. 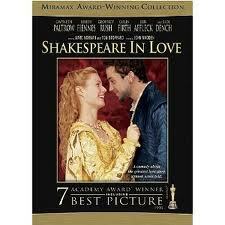 His short story, "The Curious Case of Benjamin Button" was made into a movie of the same name starring Brad Pitt and Cate Blanchett [DVD CUR]. 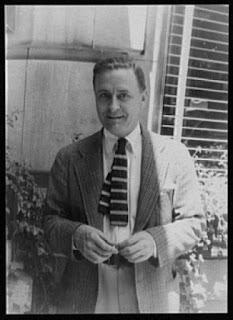 Photo by Carl Van Vechten courtesy Library of Congress. Next week is Major League Baseball's opening of the 2012 season. The first game will be played in Florida on Wednesday, April 4. The Red Sox will play their first game on Thursday against the Tigers in Detroit. The first home game will be the following week, Friday, April 13 against the Tampa Bay Rays. The biggest season opening news is that Friday, April 20, marks the 100th birthday of Fenway Park! A celebration will be taking place that day at the game with the Sox's biggest rivals, the Yankees. To make the celebration extra special, the great film music composer and Boston Pops conductor, John Williams, was commissioned to write the music for the day. His "Fanfare for Fenway" is the result. You can listen to a snippet of it here. Need I tell you we have a large collection of Red Sox and Fenway Park books on our shelves? 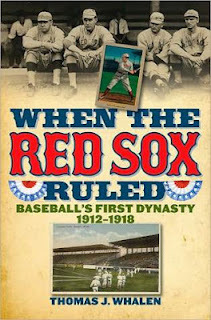 I didn't think so, however, we do have some new ones that you may not have seen including When the Red Sox Ruled: Baseball's First Dynasty, 1912-1918 by Thomas J. Whalen [796.357 WHA], which covers the period during which Fenway Park opened. I love when the unexpected comes along. For instance, I took the newly purchased The Penguin Anthology of 20th Century American Poetry [811.5 PEN] off the shelf and opened it at random. My eyes landed on "The Writer" by Richard Wilbur. I hadn't expected to find a poem about writing right off the bat! I'm sure I'll be dipping into The Penguin Anthology of 20th Century American Poetry again and I hope to find the unexpected waiting there for me! This week's Poetry Friday Round-Up is being hosted at A Year of Reading. Please visit the site to find out why this man is in a pink tutu. And, of course, we have books here at the library about pink tutus--more than one in fact--and if you're willing to read about tutus in other colors, we've got plenty of books! Brownrigg, Sheri. All Tutus Should Be Pink. [E BRO] And the sequel, Best Friends Where Pink Tutus. I don't imagine you'll be seeing one a Tesla coil in the high school band anytime soon, but you never know! You can, however, see a coil in action at the Museum of Science, Boston (you can book a pass to the museum here. We have a book on the man behind the coil, Nikola Tesla. It's titled, The Fantastic Inventions of Nikola Tesla [608 TES]. There's a great blog that I read fairly regularly called The Improvised Life. 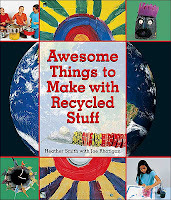 It is full of interesting and unusual ideas, common sense suggestions, do-it-yourself projects, etc. 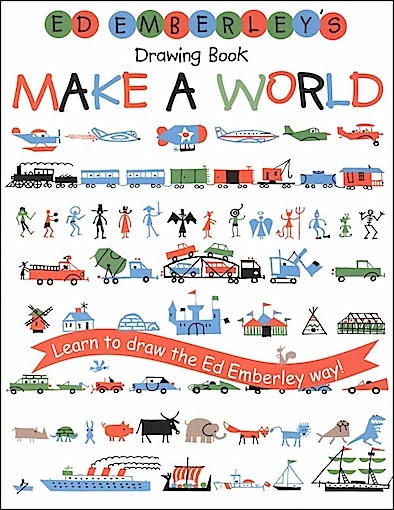 I was pleasantly pleased to find Ed Emberley's Drawing Book: Make a World [J 741.2 EMB] featured in one of the posts. I have long been a fan of Emberley's instructional drawing books. He makes it so that any child, and I mean every child, can produce simple representational drawings. It is a great confidence booster for a child who's afraid of drawing because he/she has no confidence in his/her skills. 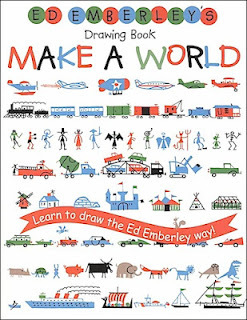 Emberley has many books in his drawing series. We have seven in our collection, including Ed Emberley's Great Thumbprint Drawing Book [J 760 EMB] and Ed Emberley's Drawing Book of Trucks and Trains [J 741.2 EMB]. Also look for the picture book, The Wing on a Flea: A Book about Shapes [JP EMB] in which Emberley points out the myriad shapes found in the world "if you just look and see." Simple shapes are the basis of much of Emberley's drawing instruction books. Have you ever tried to keep track of all the web pages that interest you? Until a few years ago, you were mostly restricted to putting the pages in your browser's bookmarks section. Then came along Delicious (formerly del.icio.us), which allowed you to organize and share your bookmarks with others. Now, the big thing is Pinterest. Pinterest is more of a social media site for sharing anything and everything you find on the internet! 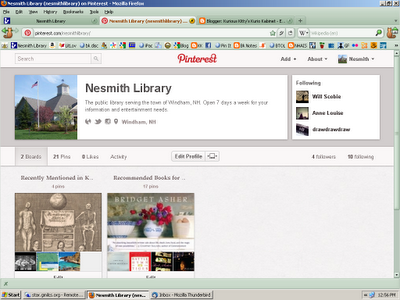 You create virtual bulletin boards where you "pin" items that you've found. Many young women use it for planning weddings, or for picking out wardrobe items that they'd like to have at some future time. There are boards for awesome room furnishings such as bookshelves, craft projects, organizing, etc. 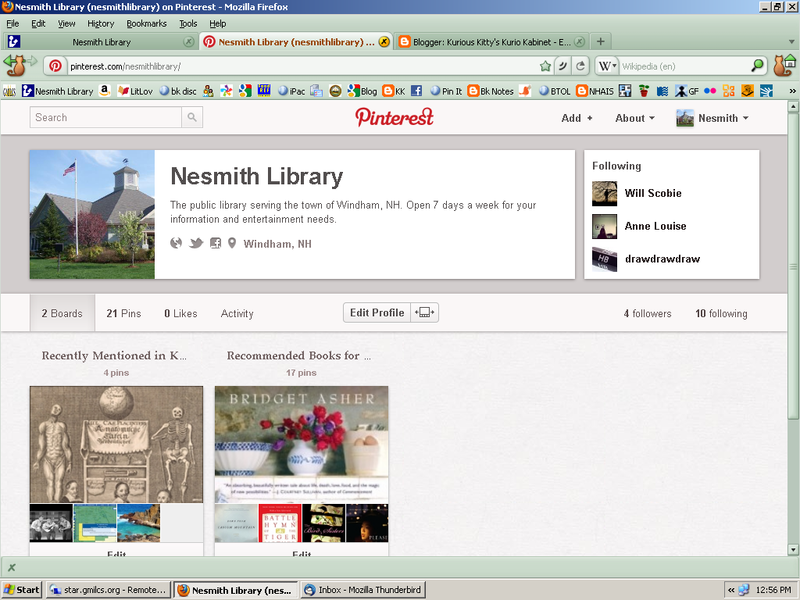 To take a look at what libraries are doing with Pinterest, check out the Missoula Public Library's offerings. So, not to be left behind, I've set up a Pinterest account in which I'm posting recently published books that I've read and found to be good for book discussion groups, also, I pinning select links that appear in posts on this blog. I'll be adding to the two boards a little at a time, and perhaps starting up other boards related to books, or films, or the Nesmith Library itself. Suggestions are welcomed! Just in time for St. Patrick's Day, I came across a awesome book of pictures and poetry called Ireland in Poetry (edited by Charles Sullivan) [821.008 IRE]. the sweaters of old Ireland!" and Maurice, sheepish in his cowl. you could tell a family sweater anywhere." (to keep the agony of drowning short). Cormac and Tom and even Donovan. See how the stitches knit the bones together. Join the fun at this week's Poetry Friday Round-Up being held at GottaBook. 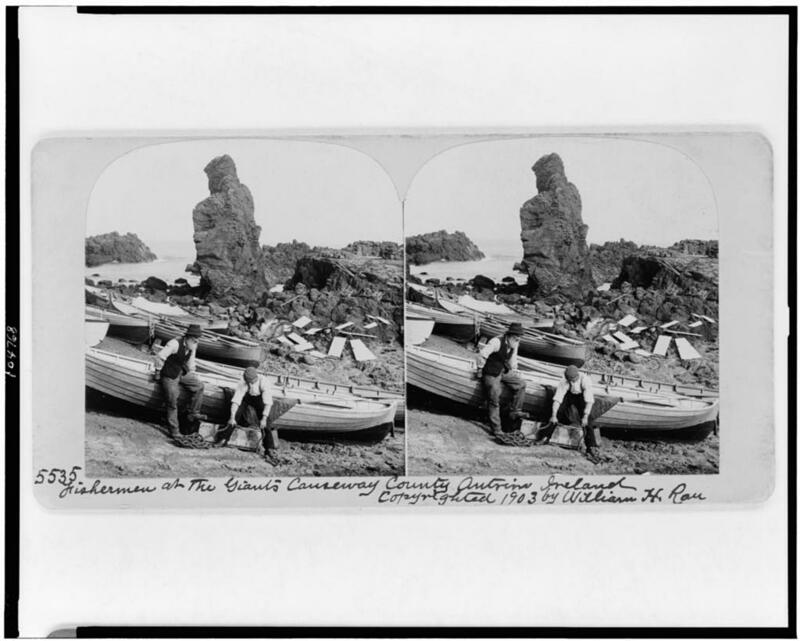 Photo courtesy Library of Congress (click on the image to see it larger). The U.S. Census data for 1940 will be released to the public on Monday, April 2. 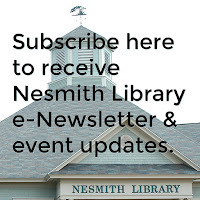 Christine Sharbrough, Certified Genealogist, and Reference and Outreach Librarian at the Derry Public Library, has a genealogy blog in which she gives information and tips about the 1940 census. Click here to check it out. Genealogist, Laura Prescott, will speak on using the 1940 census data at the Nashua Public Library on April 21 at 10 am. The event is open to the general public and no registration is required. On the U.S. Census site is a "Profile America: Facts for Features" article about Irish-Americans, just in time for St. Patrick's Day and in honor of Irish-America Heritage Month, which takes place in March. If you're Irish-American, you may want to research your Irish ancestors. To start, look at A Genealogist's Guide to Discovering Your Irish Ancestors: How to Find and Record your Unique Heritage by Dwight A. Radford [929.1 RAD]. 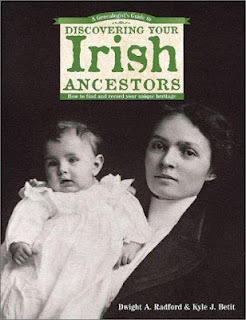 If you have children, a good way of introducing them to their Irish-American background is to borrow the DVD, Irish-American Heritage [J DVD 305.8 AME], part of the "American Cultures for Children" series. The travel guide company, Frommer's, has a slideshow on its site of "20 Classic Movie Destinations". 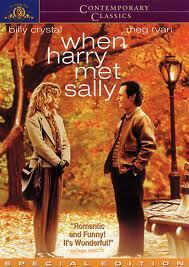 One film that wasn't listed, Enchanted April [DVD ENC], is my favorite film destination. Parts were filmed in Portofino, Italy-- definitely an enchanted location! They used to be called mix tapes, but now they're "playlists." Everyone seems to making one or more to share on various sites such as Spotify. Including, it seems, politicians. On the O Brother, Where Art Thou? soundtrack [CD SOUNDTRACK OBR]. On Sam's Town [CD ROCK KIL]. On The Very Best of Frankie Valli & the Four Seasons [CD ROCK VAL]. The best version is Johnny Cash's on 16 Biggest Hits [CD COUNTRY CAS]. On All-Time Greatest Hits [CD ROCK BEA]. On Common Thread: The Songs of the Eagles [CD COUNTRY COM], but not the live version. On 16 Greatest Hits [CD ROCK ORB]. On Everywhere [CD COUNTRY MCG]. The original version by Judy Garland on Capitol Sings the Best Movie Songs [CD MISCELLANEOUS CAP]. My favorite version is on The World of Nat King Cole [CD JAZZ COL]. On Carnival Ride [CD COUNTRY UND]. Not a bad list. Just as long as he doesn't try to sing them on the campaign trail, we can continue to enjoy them! Way back when--in the time of the dinosaurs, or rather, in the time before computers, kids in high school biology used to do actual dissections in biology labs. Nowadays, all that hands-on stuff can be done virtually. If you grew up during the pre-computer days, then perhaps you'd be interesting in seeing how dissections are done virtually. There's a site I came across, Anatomy Corner, that enables you to relive your high school bio days. It is also good for kids doing projects that require knowing about the human body. 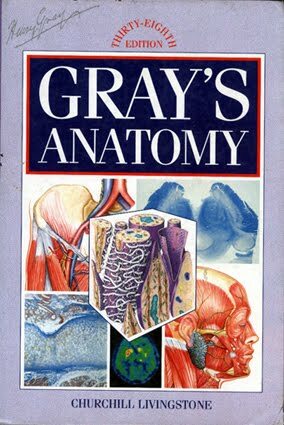 There's a Powerpoint presentation on an "Introduction to Anatomy and Physiology," if you slept during high school biology class, and illustrations galore! We still have the good old-fashioned Gray's Anatomy: The Anatomical Basis of Medicine and Surgery [R 611 GRA] for your nonvirtual anatomy study needs in our reference section or the Atlas of Anatomy [611 ATL], which may be borrowed. And for elementary school-age kids there's The Body Atlas by Steve Parker [J 611 PAR]. Why, beautiful, still finger are you black? And why are you pointing upwards? 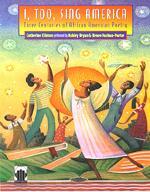 This poem is performed by Renee Joshua-Porter on the audiobook, I, Too, Sing America Three Centuries of African American Poetry [J 811 I]. It presents a strong visual image in very few words. I see gravestones carved with fingers pointing heavenward, or perhaps Michelangelo's "Creation of Adam." What do you see? Visit the heavenly Myra at Gathering Books for this week's Poetry Friday Round-Up. INSPIRATIONS from Cristóbal Vila on Vimeo. M.C. Escher has provided inspiration for many over the years. New Hampshire author/illustrator, D.B. Johnson, has used Escher as inspiration for his children's picture book, Palazzo Inverso [JP JOH]. If your kids are intrigued by Johnson's book, then borrow The Infinite World of M.C. Escher [769.92 ESC] and spend a little time with the original Escher work. Escher's work remains impressive even in the 21st century world of computers and computer-aided design. To learn more about the man and his work, visit The Official M.C. Escher Website. I found a link on Facebook to a site that advocates the use of plain old vinegar for use as a weed-killer. Considering the toxicity of many commercial garden weed-killers, vinegar appears to be a simple and safe solution to a weed problem! Check out this page for details. I found this amusing little time-sucker the other day, and of course, I had to share it with you! If you move your cursor, it will follow it--at least until lunch comes along! 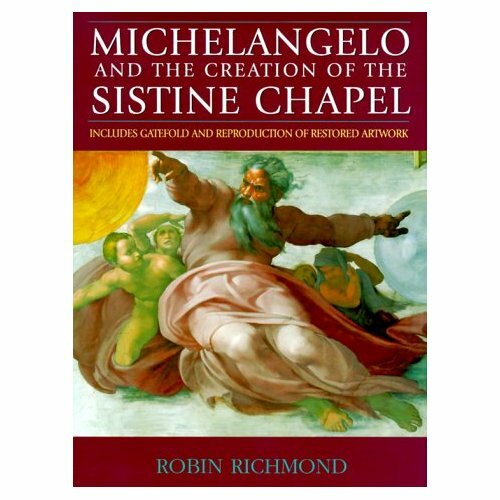 I've never been to Italy and I've only ever seen the Sistine Chapel in books and films, but, I found an awesome online site that provides a look at the Chapel from all angles and makes me feel as though I'm there. Just use the directional arrows on your keyboard and have fun. 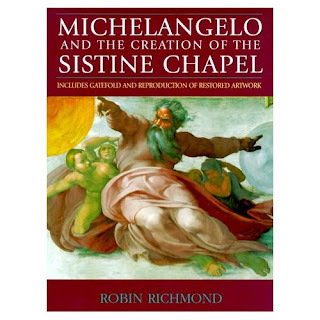 Michelangelo & the Creation of the Sistine Chapel by Robin Richmond [759.5 RIC] and Michelangelo & the Pope's Ceiling by Ross King [759.5 KIN] are two books that deal with the magnificent chapel and the man who painted it. The Agony and the Ecstasy by Irving Stone [F STO], is a fictionalized version of the story. We had a little snow yesterday and there's nothing like snow to point out the unexpected color in the world! Here's a little poems by Henry Carlile from Bright Wings: an Illustrated Anthology of Poems About Birds, edited by Billy Collins [821 COL]. is the secret of being colorful. 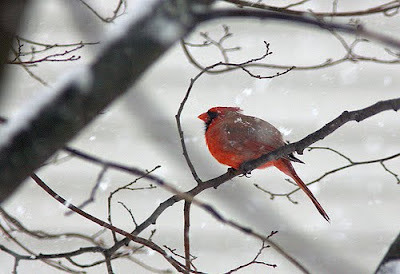 like a red verb over the snow. In the bar's dark I think of him. There are no cardinals here. Only a woman in a red dress. 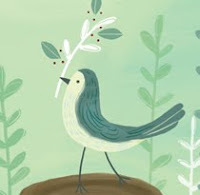 Fly on over to Dori Reads for this week's Poetry Friday Round-Up. Are the kids getting restless? Tired of watching the same old DVDs. Whining that they're bored? How about getting creative? 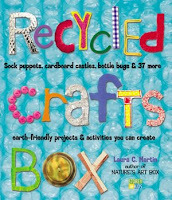 Crafts are always fun for kids, and reusing things to make something new provides a valuable lesson, too! The crafty online site, Etsy, although usually thought of as a source for unusual handcrafted gift items, also hosts a page of "101 Green Handmade Gift Tutorials." Check it out for instructions on how to make everything from bracelets to marshmallows! Or, visit the library and pick up one of our many crafts books for kids including Recycled Crafts Box: Sock Puppets, Cardboard Castles, Bottle Bugs & 37 More Earth-Friendly Projects & Activities You Can Create by Laura C. Martin [J 363.72 MAR] and Awesome Things To Make With Recycled Stuff by Heather Smith [J 745.5 SMI].